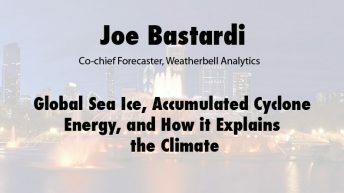 The co-chief forecaster at Weatherbell Analytics, Joe Bastardi is an institution in the science of weather prediction. Many companies across a multitude of industries, from energy to retail, have profited from his forecasts. 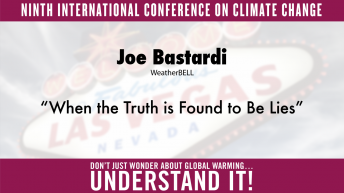 His exceptional skills are rooted in a comprehensive understanding of global oscillations and in-depth analysis of historical weather patterns. 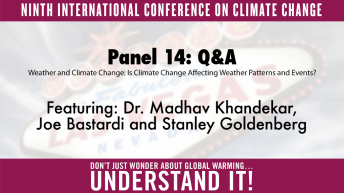 Bastardi's analog approach, which finds similarities between current and historical weather patterns, allows him to make an accurate forecast, sometimes in defiance of computer model consensus.His reputation for making bold and accurate forecasts has landed him on major television programs including Fox News Live, The O'Reilly Factor, The Colbert Report, CBS's The Early Show, Imus in the Morning, and many others.